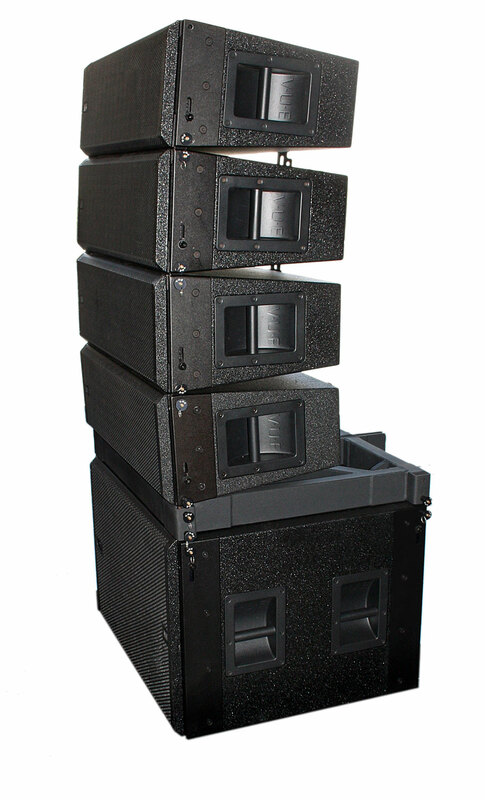 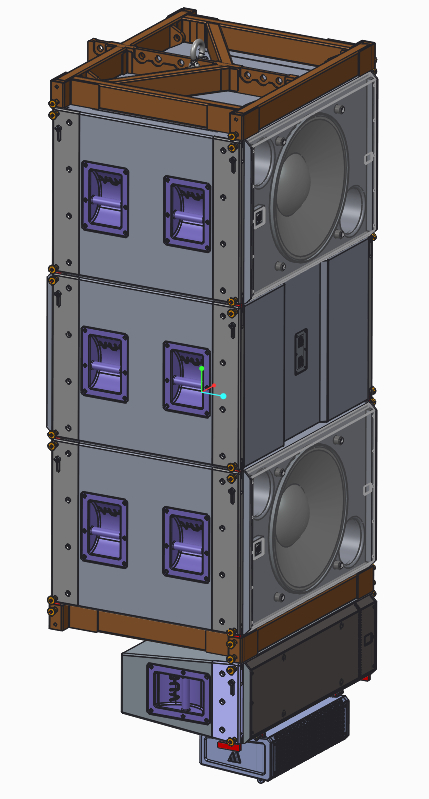 In addition to amplification, the V6 Systems Engine also handles all system processing and management functions, including speaker protection as well as system-optimized alignment of EQ, time and crossover functions. 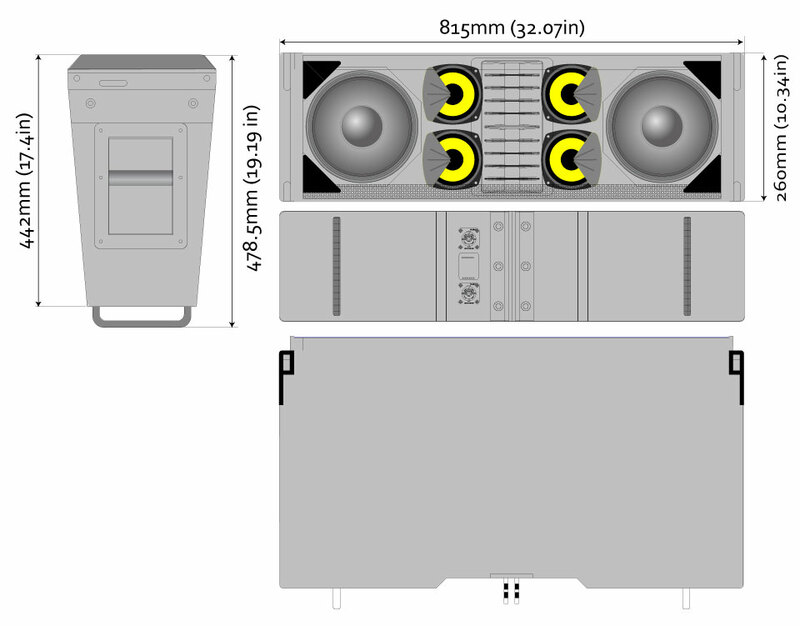 Rear panel signal connections include dual XLR and AES/EBU inputs, with a pair of NL8 connectors for loudspeaker outputs.Finally, the V6 Systems Engine provides full networking capabilities via SystemVUE software for Mac and PC, as well as full compatibility with the VUEPoint beam steering technology. 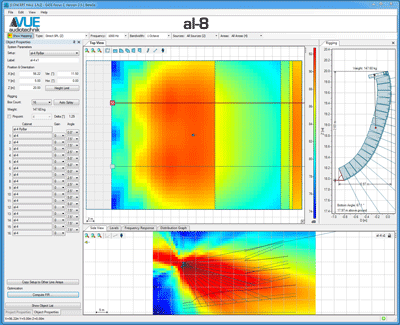 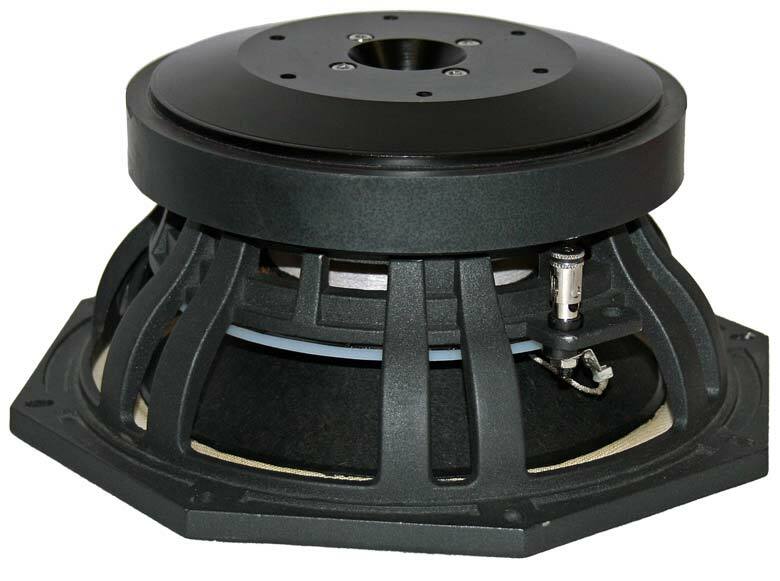 The al-8 Acoustic Element features a full complement of transducers designed and engineered specifically by VUE for use in the al-8. 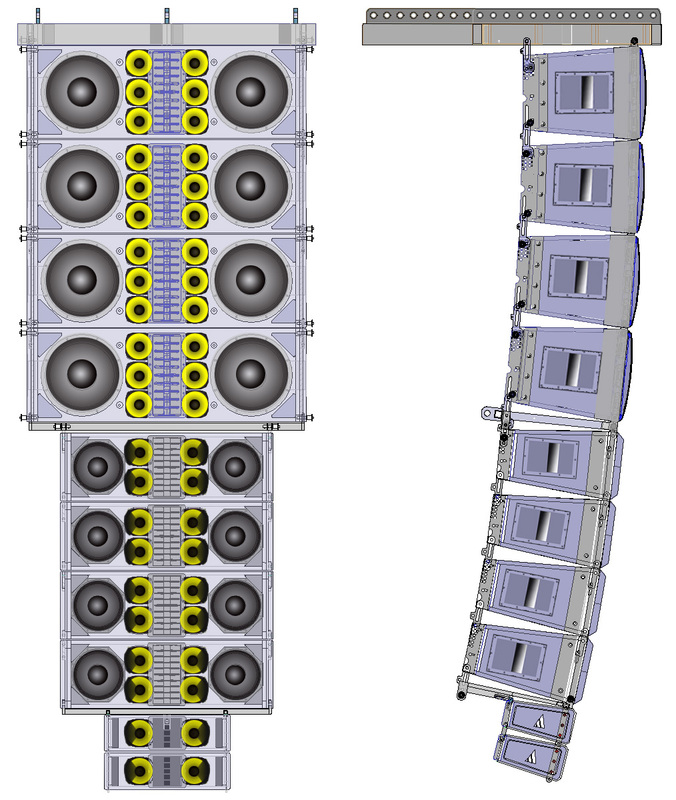 A pair of precision-engineered 3-inch voice coil, high power 8-inch low-frequency transducers flank four 4-inch, Kevlar-coned Neodymium transducers for the mid-range.The mid-range units are outfitted with VUE’s unique lateral acoustic shade modules that acoustically “moves” the drivers closer together to optimize directivity of the woofers at their upper operating range for a smooth transition over the entire coverage area.